We’re about 30 miles west of the Sipsey Wilderness (the largest and most frequently visited Wilderness area in Alabama). These are detailed maps covering the whole conservatory. 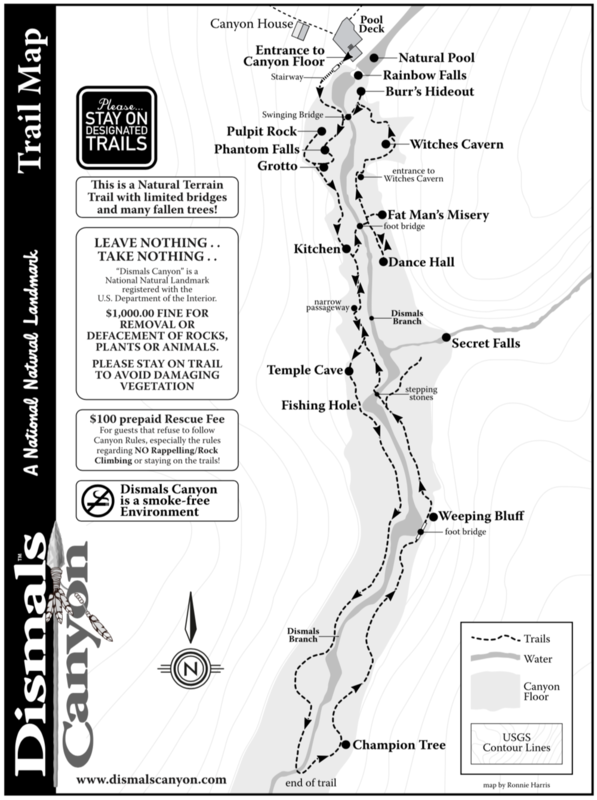 There are two maps; a "Rim Map" and a "Trail Map". Download and print the maps to help plan your visit. These maps are also available at the Country Store. This Map shows the northern end of the conservatory; the locations of Campsites, Cabins, the Country Store, Bathhouse and other points of interest. This Map shows the southern end of the conservatory; the canyon floor with it's trail system and points of interest.